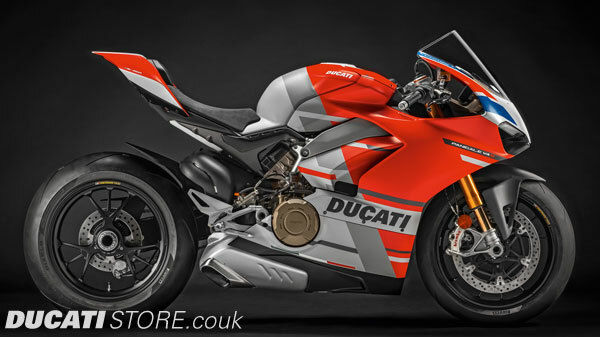 For 2019 Ducati unveiled 2 new superbike models: a corse version of the V4S (V4S Corse), and the new Panigale V4R - bringing the range to 8 superbike models. 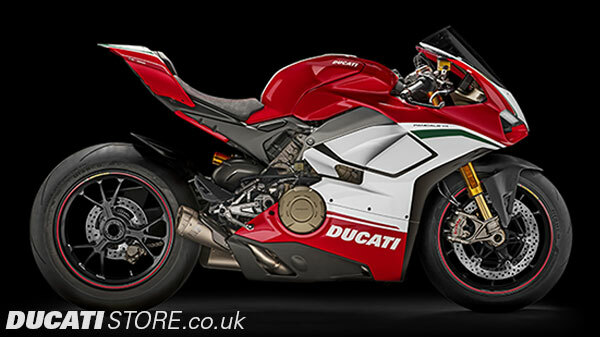 In 2018 Ducati unveiled 4 new superbike models: a corse version of the 959 Panigale, and 3 versions of the Panigale V4. 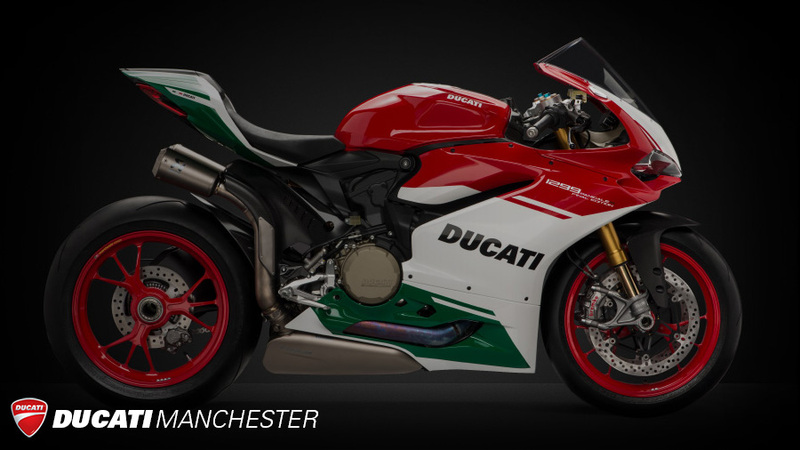 It looks like 2015 is going to be another award winning year for Ducati, with 3 new Panigale models launched in Milan. (1299 Panigale, 1299 Panigale S, and the Panigale R). The 1299/S Panigale and Panigale R use the Bosch Inertial Platform, which is centered around an Inertial Measurement Unit (IMU). The IMU constantly monitors the motorcycle's lean angle and fore/aft pitch, interfacing with the ABS, DWC, and on the 1299 Panigale S, the Ohlins Smart EC suspension - ensuring that these systems operate at maximum effectiveness regardless of the motorcycle's position. The Bosch 9.1 MP ABS equips the 1299 Panigale/S and Panigale R as standard, and is a latest-generation system that performs combined braking with control rear wheel lift to guarantee the shortest braking distances and greatest stability in any conditions. Further, the system interfaces with the Bosch Intertial Control platform, allowing maximum braking even while the motorcycle is leaned over. 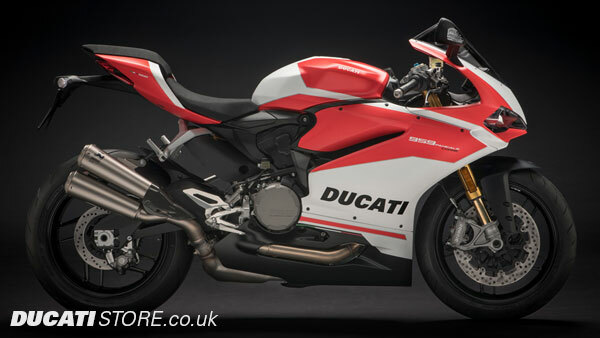 Ducati Traction Control (DTC) is an advanced system that monitors and maintains control over slipping of the rear tyre and operates on the basis of eight different levels of intervention, each of which has been programmed to respond to a different tolerance to rear slipping. Each Riding Mode is assigned a preset level of activation, which can then be modified according to the riders' desire. Level 8 corresponds to an activation of the system with the slightest slipping, while Level 1, best used by expert riders and professionals, has a higher tolerance and thus allows a much higher amount of slip before intervening. 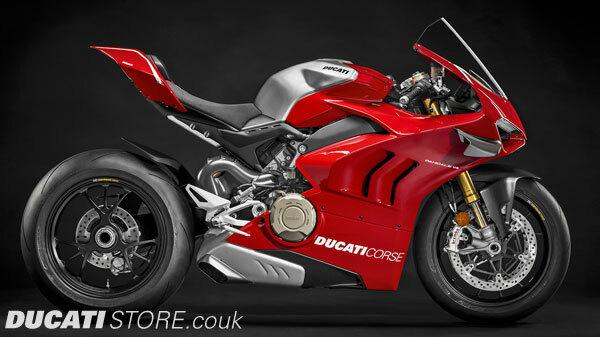 First implemented on the incredible Ducati 1199 Superleggera, Ducati Wheelie Control (DWC) recognizes front-wheel lift and responds according to one of 8 rider-selectable levels, allowing the throttle to be maintained open without fear of the wheelie getting out of control. This allows for maximum possible acceleration, ensuring a formidable drive out of any corner. The engine braking control (EBC) system works in combination with the slipper clutch to prevent and manage any locking of the rear wheel during aggressive downshifting. The rider can select the level of engine braking felt from one of 3 levels, allowing them to perfectly customize the motorcycle's feeling during deceleration and turn entry. The Ducati Quick Shift up/down (DQS) is a race-derived electronic system that manages shifting of the gearbox in both up and down directions. It allows upshifts to be made under full acceleration without using the clutch, which gains precious fractions of a second that would otherwise be wasted in closing the throttle. It also allows clutchless downshifts, as the system performs a perfectly-timed auto-blip when the foot lever is depressed, engaging the gears smoothly and allowing the rider to concentrate only on braking and corner entry. The DDA+ GPS is the latest generation of the Ducati Data Analyzer, which integrates a GPS signal to create a "virtual finish line". The system automatically detects, without any intervention by the rider, the conclusion of the lap and stops the chronometric time. Integration with the GPS signal also provides visualisation on the circuit map of the trajectories ridden and the main parameters of the vehicle: throttle opening, speed, rpm, gear engaged, engine temperature, DTC activation, and lean angle. The 1299 Panigale and 1299 Panigale S are pre-configured to accept the DDA+ GPS, while the Panigale R includes the system as standard. 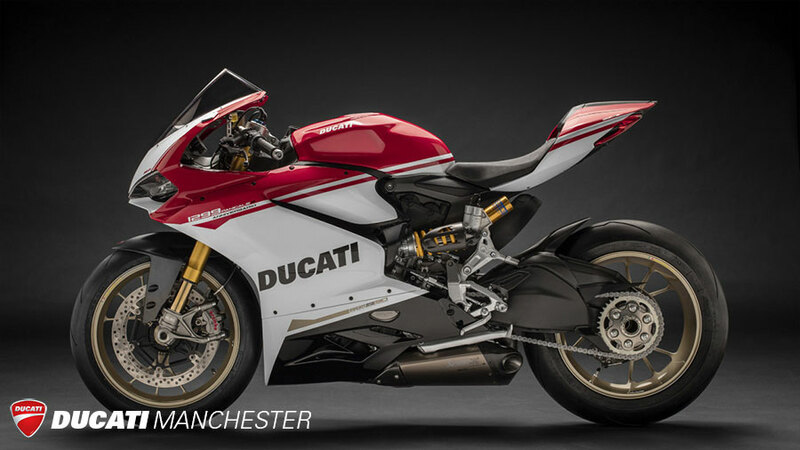 The 1299 Panigale and 1299 Panigale S benefit from the experience of Ducati Corse, and adopt a new geometry which uses a 24° steering head angle along with a swingarm pivot point 4mm lower compared to the previous generation of Panigale. This enhances the bike's agility, and provides better rear traction in a wide variety of conditions. The 1299 Panigale S shows its technologically advanced nature with a bright, efficient, and stylish full-LED front headlight, along with LED brakelight, turn signals, and number plate light. The 1299 Panigale S and Panigale R feature handlebar-mounted auxiliary control buttons, which allow the rider on-the-fly adjustment of a selected parameter among DTC, DWC, or EBC. Using these the rider can instantly fine-tune the motorcycle to changing track, road, weather, or tyre conditions without slowing down. The instrument panel on the 1299 Panigale uses a full TFT display. The colour display's configuration is variable and automatically adapts to variations in environmental light and to the selected Riding Mode. In the "Road" and "Wet" Riding Modes, speed takes centre stage and is displayed in large numbers in the middle of the display, whereas the two boxes containing "supplementary information" underneath provide data on total mileage and engine coolant temperature. In the "Race" Riding Mode, the display layout is automatically reconfigured, shifting the display of the vehicle's speed in the lower information box at left and making room for the last lap time, centrally displayed in large numbers . For the first time on a Ducati motorcycle, the display features a "lean angle visualization," allowing the rider to see their achieved lean angle displayed on the dash in real-time. Another detail that gives the Panigale its total racing look is the twin headlamp at front designed to be an integral part of the front air scoops, with integrated LED positioning lights. The double LED lights at rear harmoniously wrap around the air vents in the seat-tail assembly and, when turned on, create an alluring effect of signalling lights enhanced by stop lights. LED technology is also been used for the front and rear turn indicators as well as the number plate light. 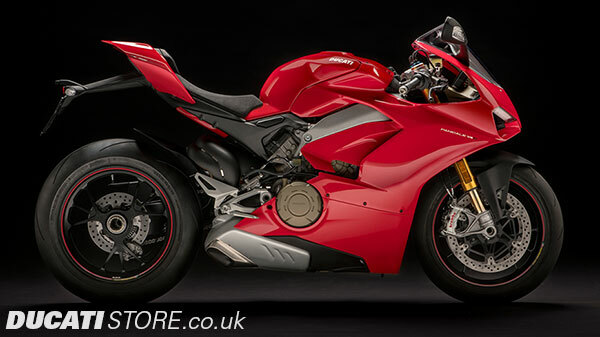 Book your Superbike Test Ride today - We always have a selection of Demo Panigale bikes available. 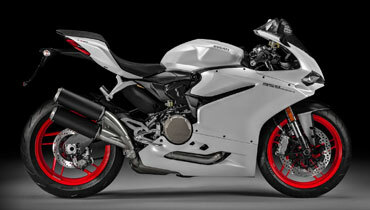 899 Panigale is available in Arctic White or Red. 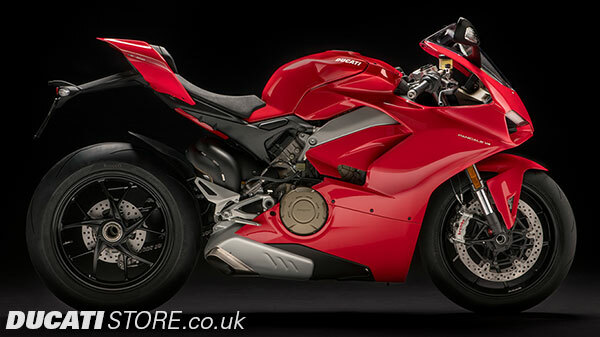 1299 Panigale is available in Red. 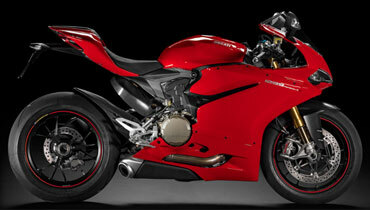 1299 Panigale S is available in Red. 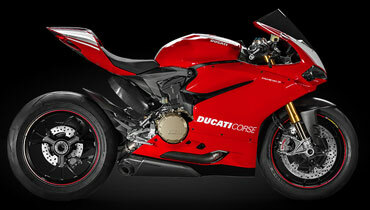 Panigale R is available in Red. 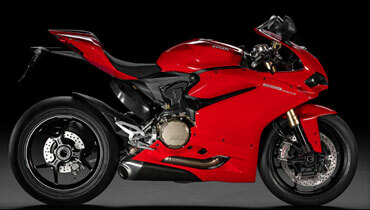 Please view our models archive to see previous superbike models and colours, including the 1199 Panigale models.